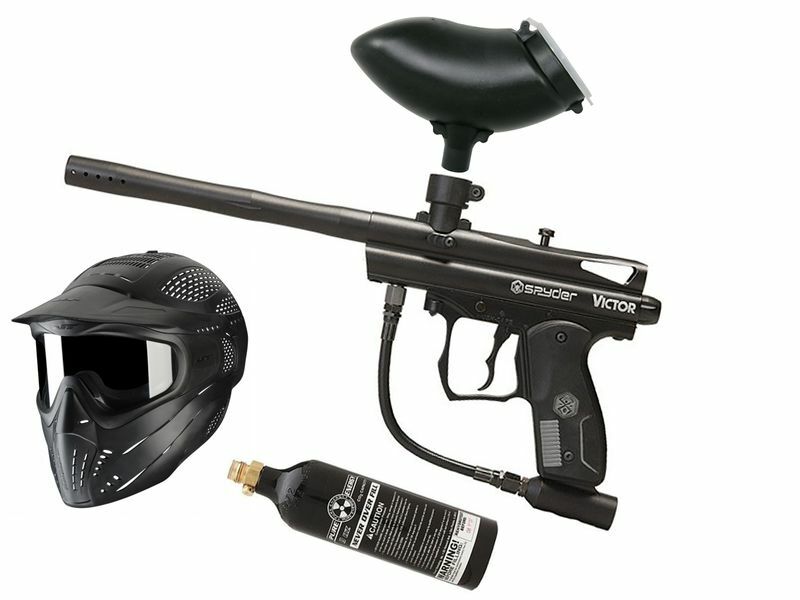 This package includes: Spyder Victor .68 Cal black, CO2 Tank 12oz incl. Pin-Valve, Paintball Goggle JT Premise Headshield single and a 200rnds. Protoyz Hopper. The Spyder Victor is the perfect marker for casual gamers or players who want to become one. Due to the comfortable 45 grip the Victor is always good in the hand and the rubber grips provide the perfect grip. The 2-finger trigger is very smooth and allowing a very fast rate of fire. Due to the simple design, the Spyder Victor can be serviced in a few moments. Both Co2 or HP systems can be used. 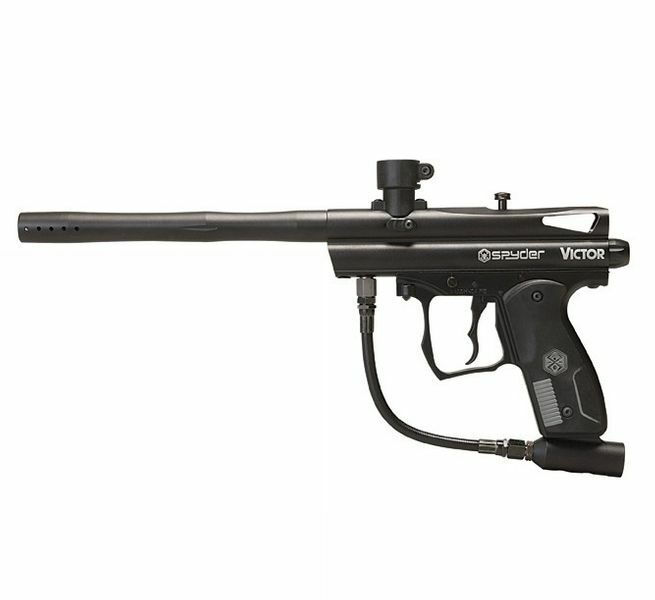 All these great features make the Spyder Victor to the ideal Entrylevel Gun. The big 12oz CO2 tanks lasts for about 550-600 shots. Enjoy the game with a total 360 degree of protection for any type of game or scenario. It features a Pro-Change Lens, Foam Quick Release System, 260 degree Field of Vision and protective Headshield, which is removable. Standard Ammo Box for 200 paintballs. Spring-loaded large semi-transparent plastic lid for easy refilling and quick level control. Two-piece design, demountable for thorough cleaning. A color choice can not be guaranteed. Hopper comes in black or clear! You must be 18 or older to order!